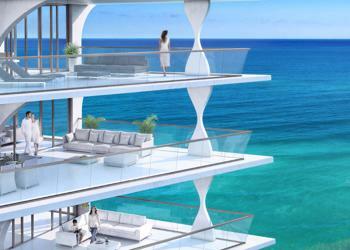 An “A” class team has come together to create the perfect beachside home. 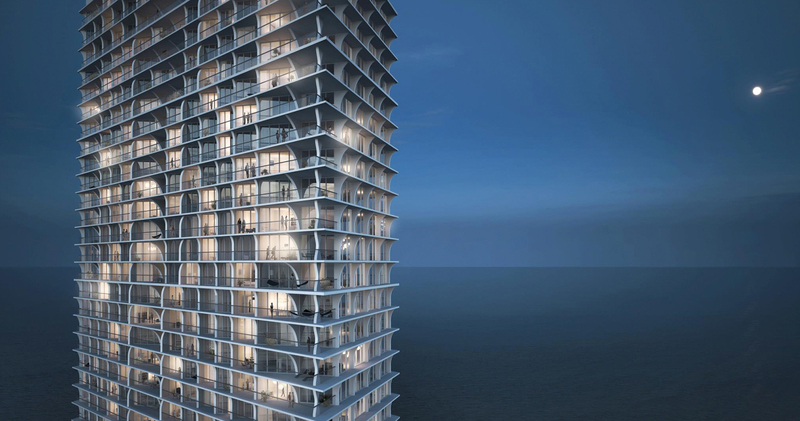 Fortune International Group, Pritzker prize-winner Swiss architects, Herzog & de Meuron and Pierre-Yves Rochon, interior design master, have made a vision come to life. 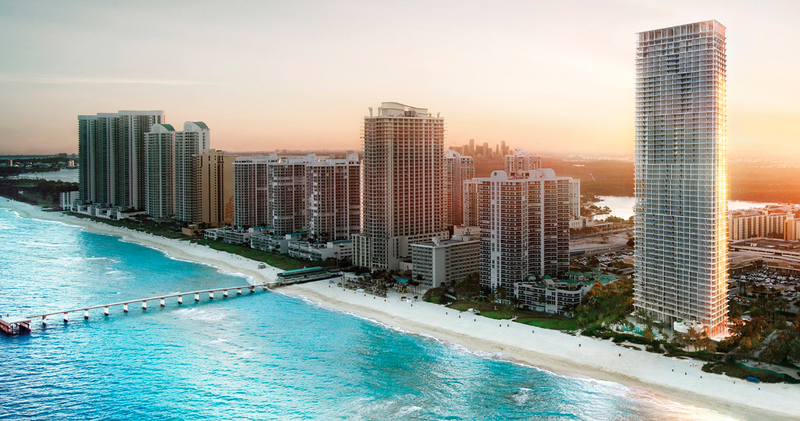 Jade Signature is not just a building, it is a masterpiece perfectly positioned on the pristine sands of Sunny Isles Beach, ready to provide its residents with a unique living experience. 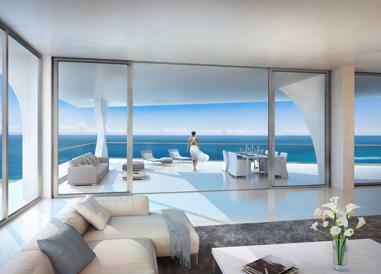 From its perfect landscape, magical amenities and beautifully sculptured terraces, at Jade Signature, more than living in a dream… you will be living a wonderful reality. 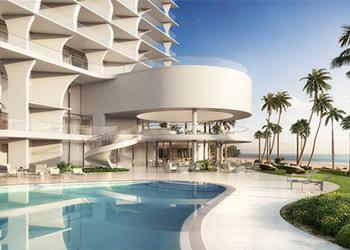 The terraces of these residences distinguish Jade Signature from all other beachside Miami towers. Being more than balconies, they dramatically extend the amount of living space by an incredible 30%, making the dream of inside/outside living a reality for all. The wall orientation and natural cross-ventilation offer an environmentally conscious approach to keeping the rooms cool and delightful. This is life lived without boundaries. 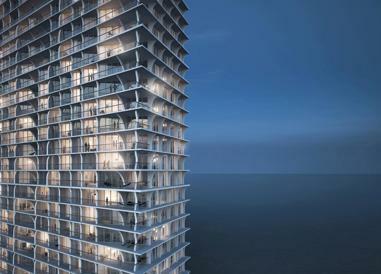 Spacious floor plan spans the entire 55th floor, interior living area consisting of 9,183 sq. ft. with 5 bedroom and 7.5 baths. Unobstructed 360 degree views of the ocean, Intracoastal, City of Sunny Isles Beach, and Miami skyline via wraparound balcony. Distinctive living and entertaining areas including, double living room, family room, breakfast room, bar, library, study, private gym and playroom and of course the private pool with views of the intracoastal and the city skyline. This perfectly proportioned space turns a daily chore into a treasured ritual. The light-filled place is made for pampering and unwinding with its bathroom, shower and marble-lined tub encased with silver-leafed mosaic. 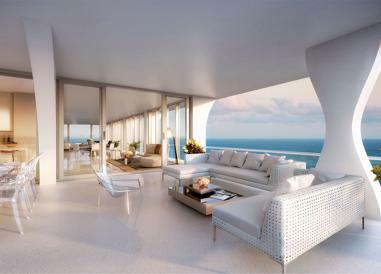 Accompanied by exquisite PYR custom-designed cabinetry and elegant twin basins, the area is dramatically extended by ocean views and a private terrace in some residences. In addition to its stunning, boundless backdrop, the sense of space and light makes the kitchen truly unique. Handcrafted Snaidero cabinetry and island base, designed by Pininfarina, sit alongside top-of-the-line Gaggenau and Sub-Zero kitchen appliances. The quality of the design, the materials and the layout turn the kitchen from being a functional area into a place of beauty and repose, and one that is integrated with the living spaces to enhance modern living. The beach bar & grill provides the ideal resort-like experience. The extra-spacious, perfectly configured beachfront deck looks out over a gently sloping landscaped garden onto Sunny Isles’ famously long stretch of perfect ocean sand. This relaxed and luxurious ambiance is completed by a large, zero-entry, free-form swimming pool and hot tub with surrounding lounge seating garden hammocks and secluded cabanas. Lunch can be enjoyed at indoor or outdoor cafe tables, or at the pool and beach. 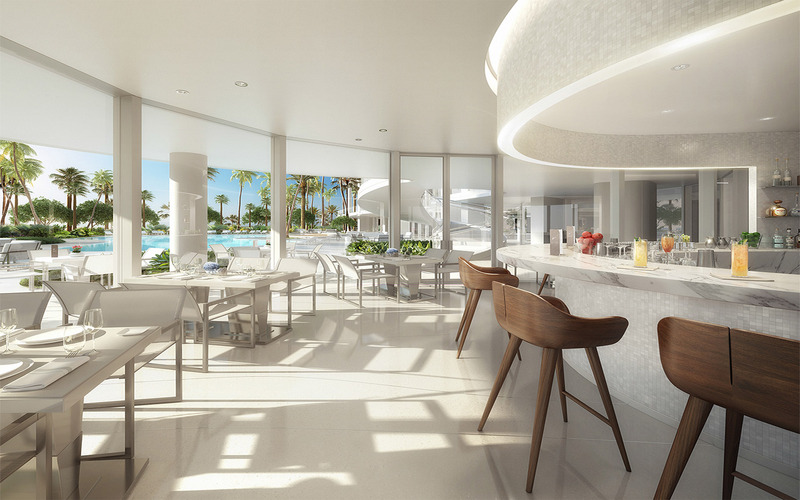 The epitome of inside/outside living, the bar & grill has a curved, full-height glass surround that provides direct access to and panoramic views of the pool, resort deck and beach. Lunch in this bright marble-lined interior is the perfect way to enjoy the day or indulge in the luxury of your residence. This large, open-plan, ground-level space with its soft furnishings and impressive range of games and amenities – complete with interactive smart board and movie screen – provides the perfect environment for children of different ages. The mood is safe, relaxed and endlessly fun. The pavilion terrace is a truly unique space. 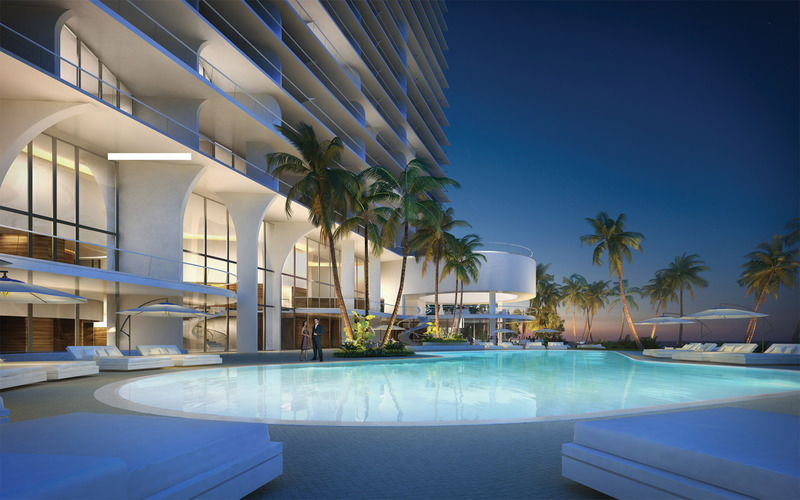 Its signature oculus punctures a grand, beautifully curved and expertly proportioned domed canopy, which provides both shade and shelter, as well as stunning 270-degree views of the beach and ocean. It is as much a space for private moments of relaxation as it is for entertaining friends or family. 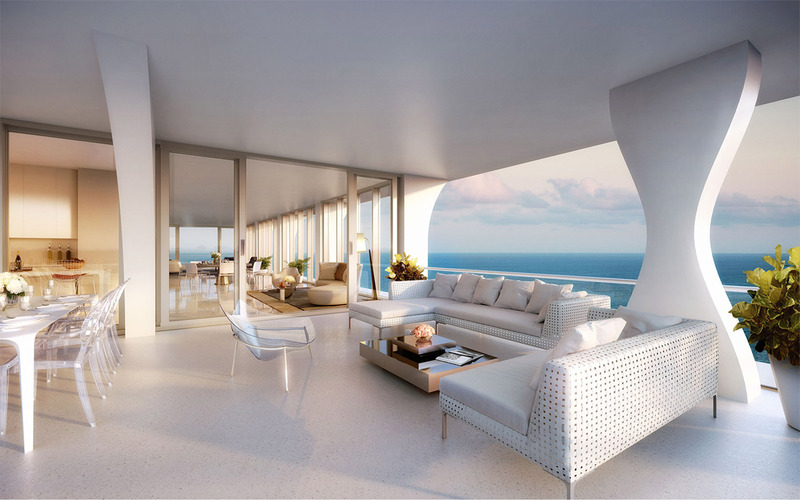 With its modern, elegant and intelligent architectural form, the terrace captures the very essence of the Jade Signature building: a unique place that makes you feel the same.